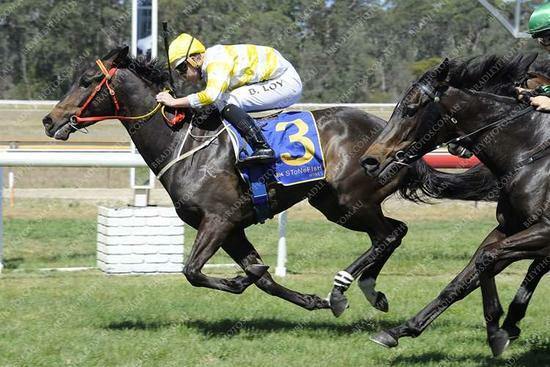 Tyres Are Crucial has finished right over the top of them to claim the BM 65 Hair Of The Dog at Gundagai on the second/final day of their Carnival. Appreciating the staying journey of 1800m, Tyres was put into a gun spot by Kayla Nisbet as they tracked into the race boldly around the dog leg. Despite laying in under pressure Tyres kept up a strong sprint and was able to overpower the favourite right on the post. It broke a long run of outs for the Son of Pendragon who possessed so much promise as a younger horse (First five starts read 5: 2w 2p). Finally with confidence now on his side the stable believe that "Tyres" has many more wins in store.